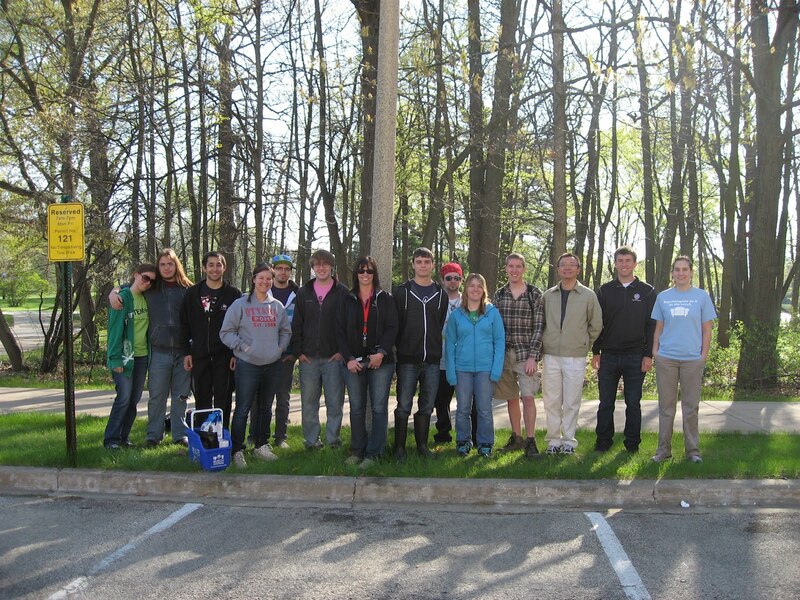 On Saturday, April 7th, the NIU Student Subunit of Illinois Lakes Management Association organized a River/Lake Walk to clean up the East Lagoon and the Kishwaukee River. 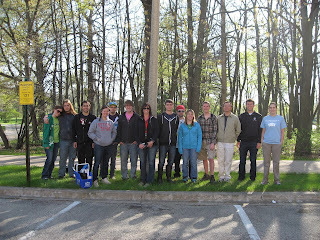 Turnout for this event was excellent! 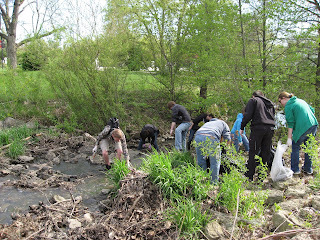 About 15 students, faculty/staff members, and their friends showed up, eager to help our environment and conserve water resources. We met at Montgomery Hall at 9:00 a.m. and after enjoying some donuts, we worked our way around the lagoon and along Kishwaukee River in small groups, picking up trash and recyclables along the way. In total, the individual groups removed approximately 150 pounds of garbage from the water and surrounding shorelines. 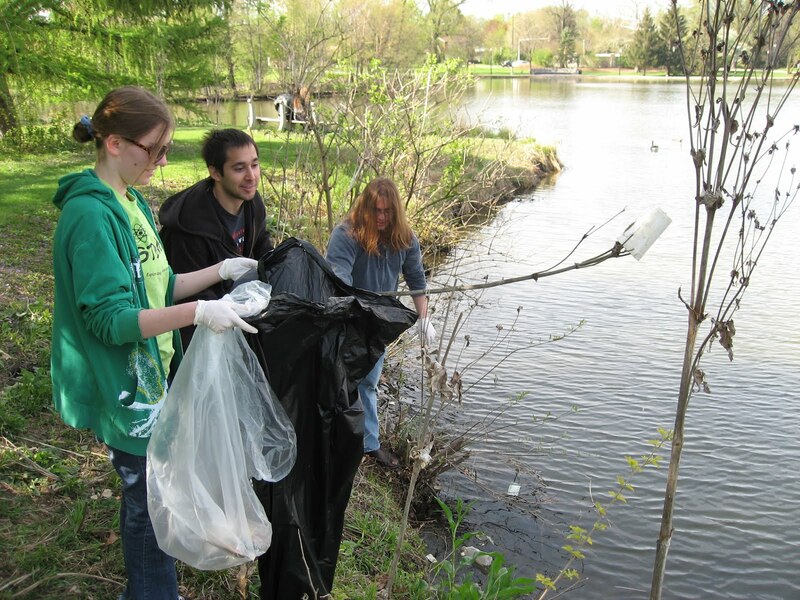 Keeping trash and other debris out of the waters and shores of the East Lagoon and Kishwaukee River is imperative to preserving our beautiful campus for future generations of NIU students and the DeKalb community. The NIU Student Subunit meets every Monday at 4:30 In Davis Hall room 103. 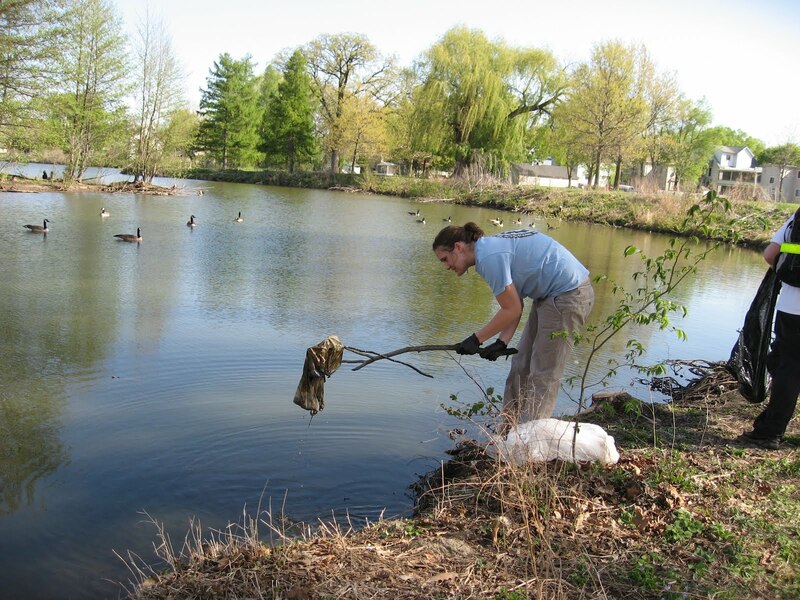 We will be doing monthly clean-ups of the Lagoon as well as water quality testing, screening environmental films, presentations by guest speakers in water quality related fields, and many other activities each week. Next Monday, April 16th, we will be having a guest speaker come in to give a talk about Rain Gardens, so please make sure to attend!